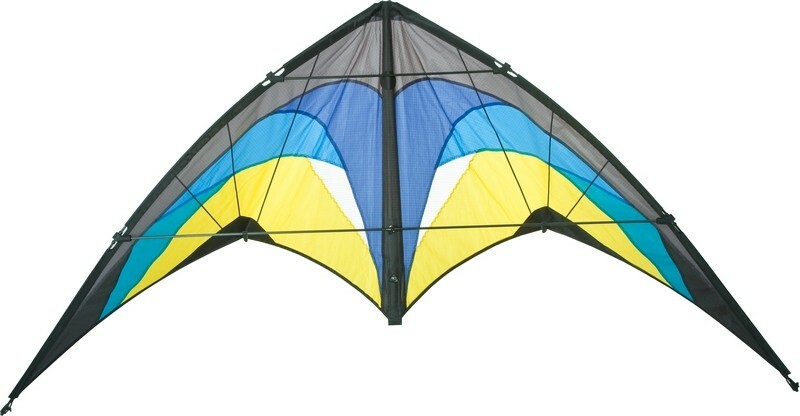 The Bolero II is an advanced entry level sport kite. Due to it´s easy handling and gentle flying characteristics the Bolero is a very good choice for beginners. 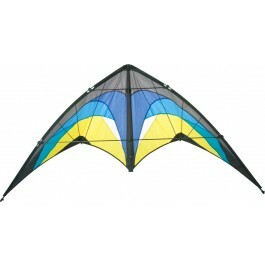 This kite accelerates the learning process and forgives typical steering errors of beginners. The frame made of a mix of fibreglass and carbon-fibreglass hybrid technology is extremely solid and nearly indestructible. That way the Bolero II withstands many crashes with ease. The Bolero II ensures a precise and stable flight even at higher wind speeds and is the perfect kite to learn all the basic tricks.